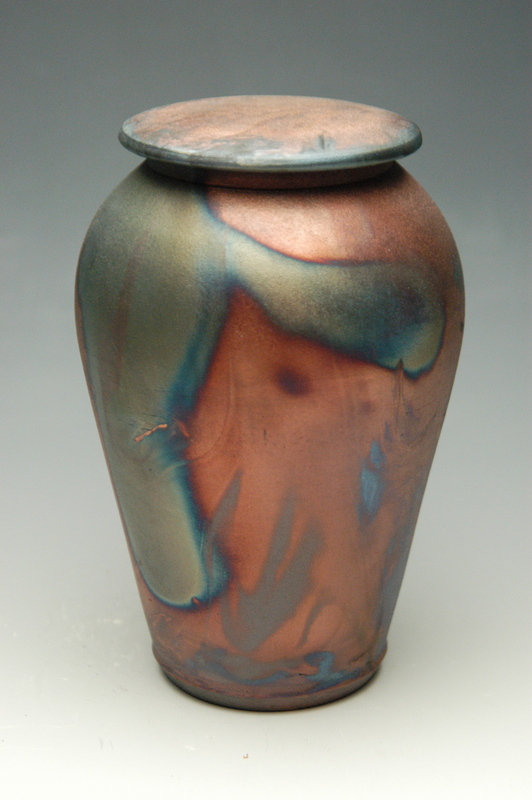 Featuring the Beautifully Simple Raku Cremation Urn in the unique Dolphin Blue glaze. 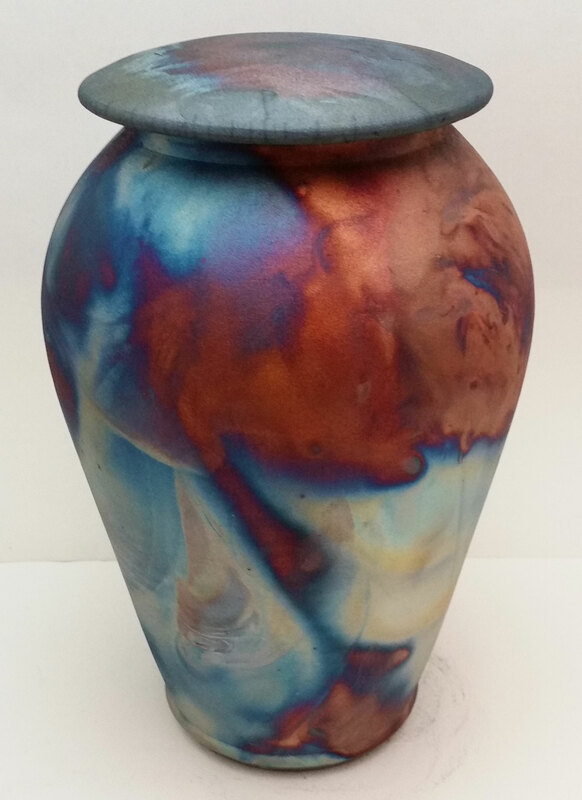 Hand-thrown ceramic cremation urn skillfully made by a raku pottery artisan with over 30 years of experience. 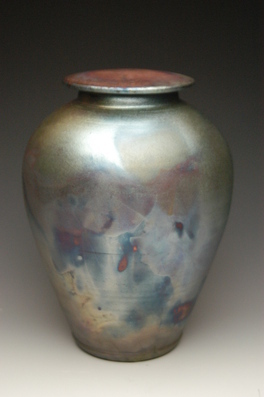 This very popular urn is Raku fired. 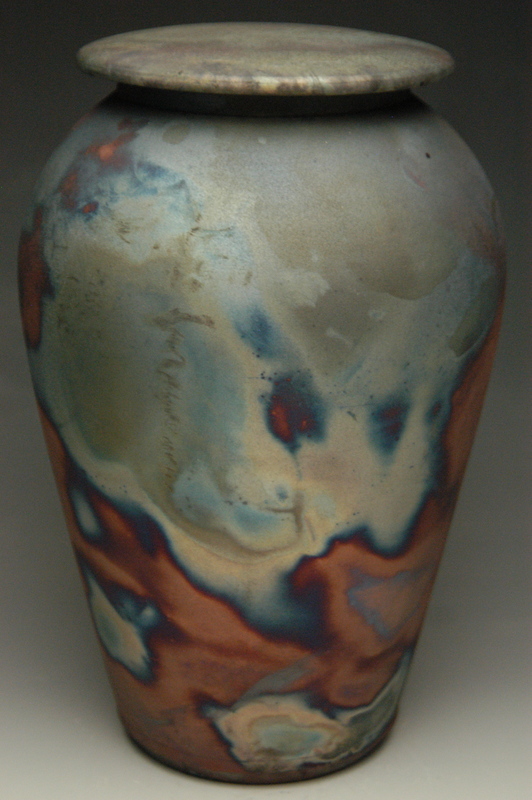 Raku is a traditional an ancient Japanese firing process in which the urns are removed from the kiln at their maximum temperature and placed in a container filled with leaves, straw, or other organic material. 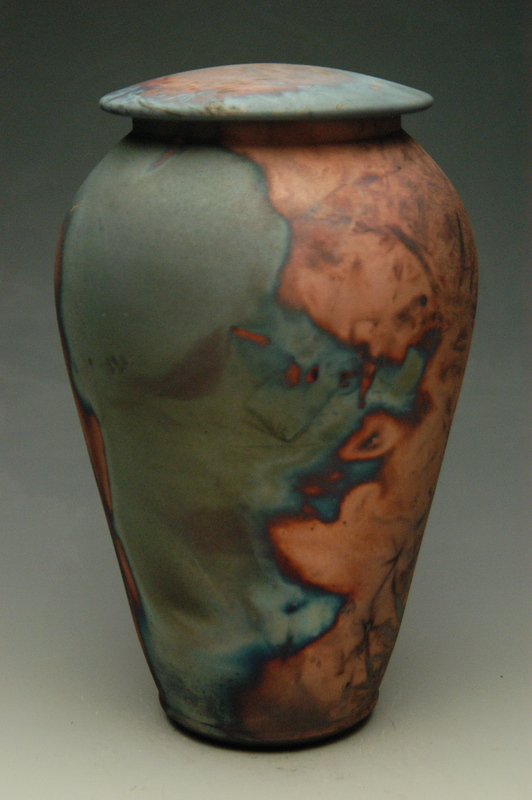 The intense heat from the urn ignites the organic material, the container is sealed, and the smoke, flames, and oxygen deprived atmosphere create the unique colors and textures of Raku. 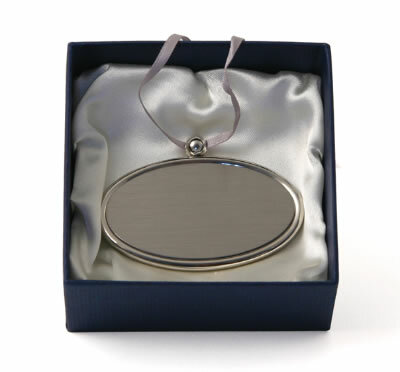 Because these are made to order hand-crafted works of art each urn will be unique one of a kind. 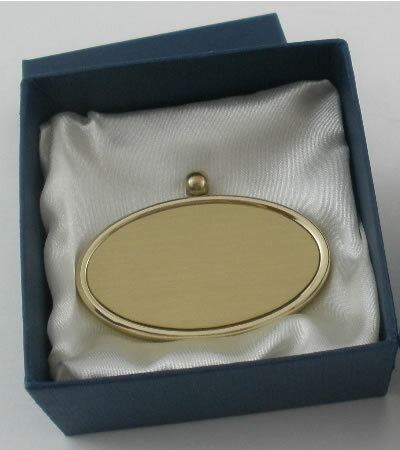 The colors and patterns will vary from one urn to the next. 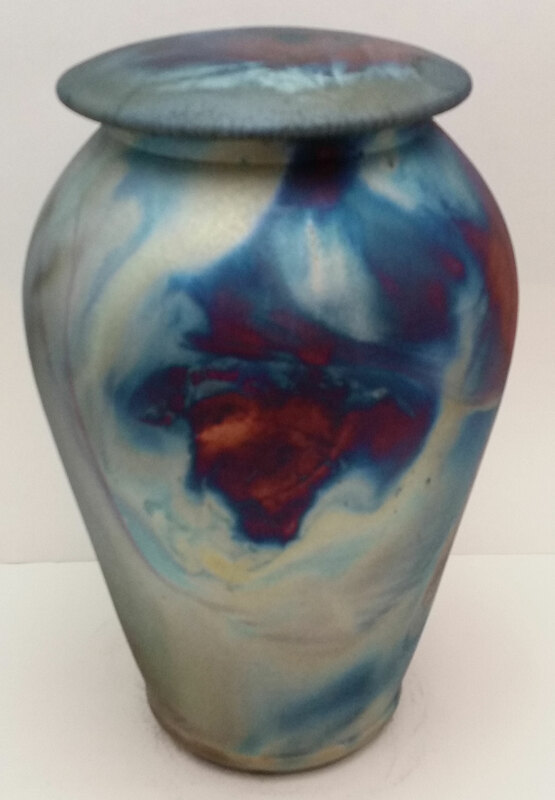 It is impossible to duplicate the color pattern seen in the urns on our website as each urn is unique in its coloring and pattern. 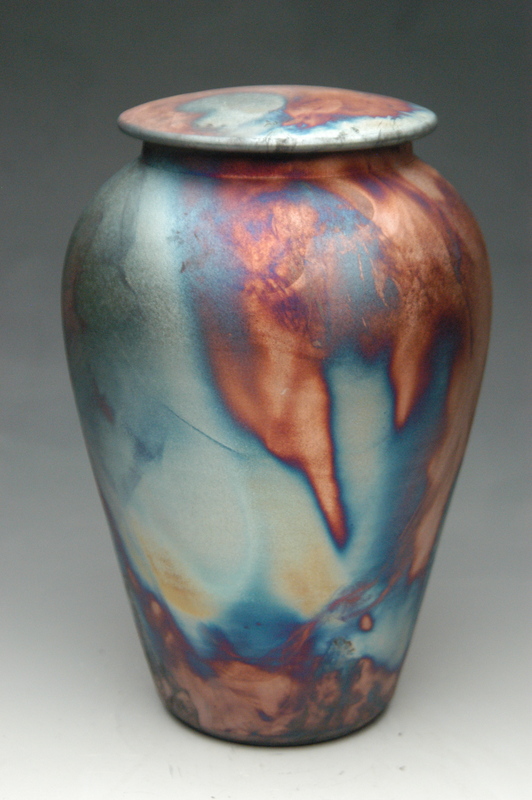 We have included several photos of the Beautifully Simple Raku Urn with the Dolphin Blue Glaze. 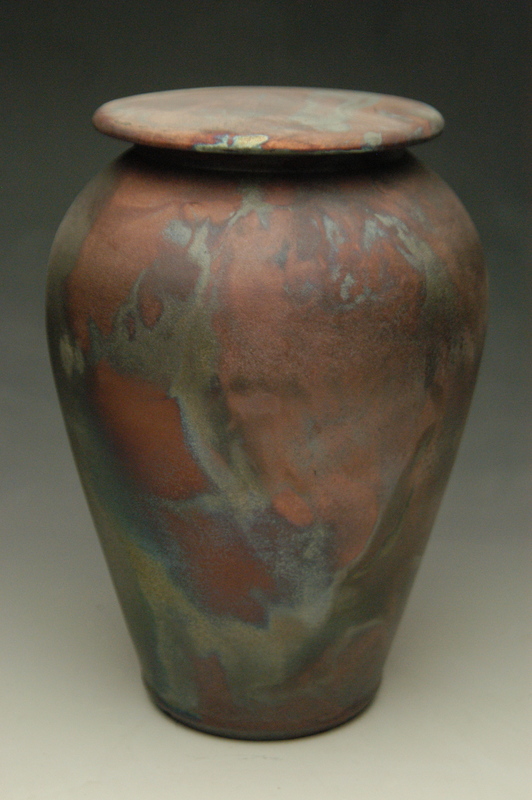 As you can see from the photos, each urn is unique in coloring and pattern. 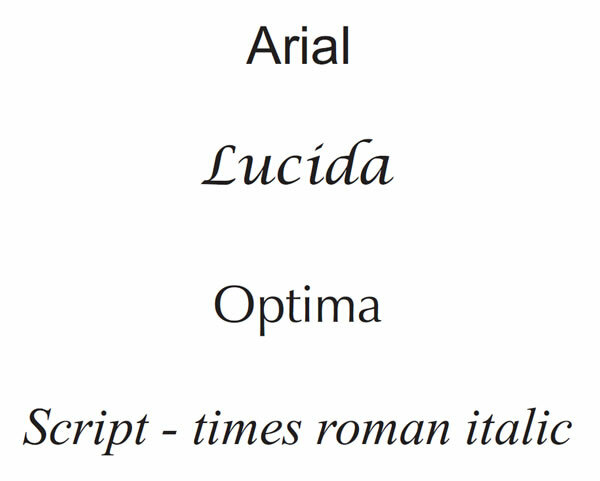 Specific colors or color patterns cannot be requested.